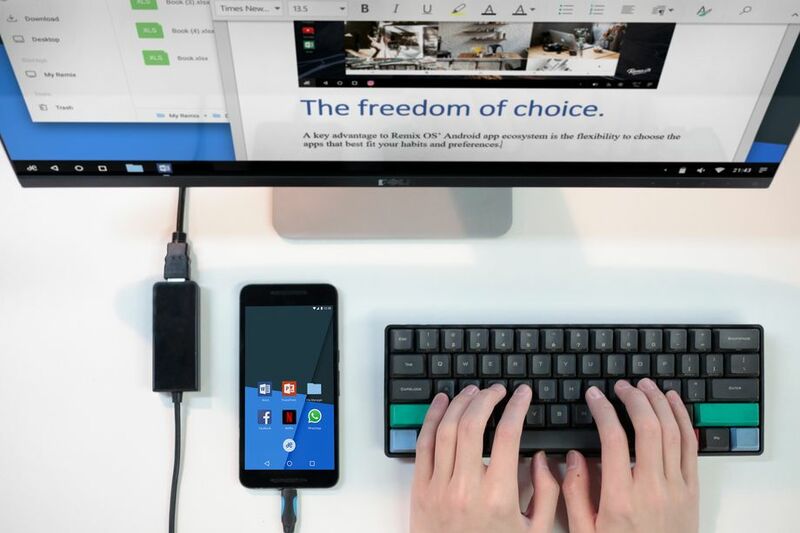 Imagine if every Android smartphone could transform into a PC just by connecting a display, keyboard, and mouse. Yesterday, February 21, 2017,Jide technology announces a new version of its Android-based software, Remix OS, that will live on smartphones but be capable of powering Android-based PCs. Remix OS by Jide Technology is an Android variant that provides a custom desktop interface. It is a mixture of the Windows OS and the Android OS; you get the characteristics of Windows on a mobile OS. Remix OS for Mobile is a new custom ROM for Android, but it's quite unlike any other take on Google's mobile OS that we've ever seen. On your phone, Remix OS for Mobile will function "as close to stock Android as possible. "Exact details on this are still sketchy, but expect to find your app drawer, home screens, widgets, notification tray, and everything else just like you'd expect it. However, once you connect your phone to a computer monitor through a dock of some sort that Jide has yet to go into too much detail on, you'll be running the full-fledged Remix OS. The feature is called Remix Singularityand the new operating system is Remix OS on Mobile (or ROM), and is scheduled for release in the second half of 2017. Jide technology believes that In the next five years, roughly five billion people will be coming online, and when they come online, their number one choice will be the smartphone; an affordable smartphone, and that will be an Android. If your phone can replace [your PC], it’s a huge saving, and has a big impact to productivity.